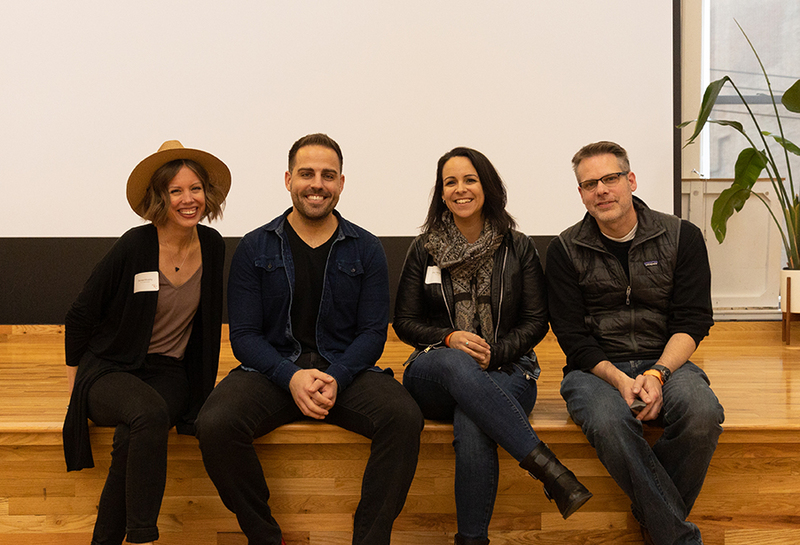 With awesome speakers, networking, drinks, light bites from Tano Bistro, plus our customary emoji stickers, the March 2019 event had everything we’ve come to love about Social Media #ShowAndTell! PLUS we’d like to give a special shout-out to our SPEED-SHARERS, who stood up to offer a quick 1-minute tip, tool, case study or best practice. MICHELLE BECKHAM-CORBIN, Director of Marketing & Communications, American Heritage Girls, Inc.
Pete Blackshaw, the new (as of November) CEO of Cintrifuse offered this simple but sage analogy for customer service: To win in social, you have to think and act like a concierge. Help Desk – Pete explained that when your customers come to you with a question, “that is your golden moment.” This is especially true when you’re launching a new product. The top 5 questions you get asked are the top 5 complaints, and your team needs to address these issues…stat. Experiential Tour Guide – “Consumer journey mapping is everything in marketing today.” How can you exceed customer needs at every touchpoint? The answer will not only result in greater loyalty, but also genuine word of mouth referrals. Renee Murphy from The Garage Group offered tips on how to find meaning and actionable insights in social media analytics. The trick, she said, is to connect the dots by looking for not-yet-obvious consumer truths within social media. This can lead to real innovation that drives a product, company, or service forward. How can you put this strategy to work? According to Renee: “Social media analytics tools are holding us back” because of their limitations. A more effective approach is social media ethnography. The trick is to approach the vast amount of unstructured social media information available online with specific objectives and a guiding plan. Use the analytics tools to support this, but you can dig even deeper in order to uncover hidden trends and themes that can transform your business. Renee led the audience in a quick exercise to experience this technique first-hand. Very cool! No matter your company size, Amy and Jeremy say videos are a great way to support your best-performing messages. They recommend taking what’s already working well—say a particular message or a successful campaign—then amplify it with video. One great idea was to share a video after purchase: an instance in which people are more willing to spend time watching a video. This is a perfect opportunity to give users a personal video message that communicates a brand story. It can also be a great way to prevent any buyer’s remorse. Share your top takeaway with us by Tweeting @dooley_media with #ShowAndTell. Don’t forget to subscribe to the dooley media newsletter to read our monthly updates.